“What are they waiting for?” Mikael mumbled, tears of anticipation in his eyes. 1. Tell us a little about B.L. Barkey? I was raised with a wonderful family that loved me, though they didn’t quite understand me. My passion for stories has been with me pretty much since birth (aka. Nerd for life). Growing up, I loved drawing, reading, skateboarding, rock ‘n’ roll, and Toonami (all 90s kids will understand, this is where you found Yu-Yu Hakusho and Dragon Ball Z before the Internet). Since then, I have gotten my Masters in Water Engineering, ran several marathons, completed a full Ironman race, raised two beautiful dogs, worked for an engineering firm, and of course, written the book I’ve always wanted to write. 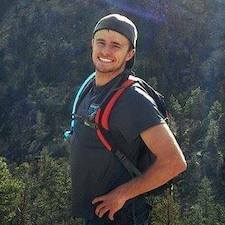 I’ve spent most of my life in Colorado, and I will most likely move back there someday. 2. How did you come up with the idea for Stone of Matter? This book was actually written simultaneously with Book II. I wrote it straight-through, after which I separated the two and shaped Book I into its own. From there, it has really taken shape as a world of its own, telling its own story, while leading into Book II. As far as inspiration, it all came to me at once under the title of Litiguh. Once I thought of the name “Litiguh” for the series, the rest started falling into place, piece by piece. Things have shifted slightly over the years, though much of the core of Litiguh remains the same. I truly love the world and enjoy writing the stories. I hope people will enjoy reading them. 3. Did you think of The Legend of Litiguh as a whole or did that come after you started writing Stone of Matter? I thought of it as a whole. I knew it would be a series, maybe three books. But as I kept piecing it together since 2009, I believe it has become what it needs to become, which is most likely going to be three trilogies. So nine books. 4. Who or what was your inspiration for your characters? 5. What are your hopes for this series? How many books do you plan to have? From the beginning, it started out as three books. Now, it will be nine. Three trilogies. My goal is for each book to stand alone with its own story, while keeping intrigue for the greater mysteries threaded throughout. Every book is sketched out, the first two are written, and the third is a chimera of ideas waiting to be sewn together. No, not really. When I look back, my favorite thing in the world has always been stories. Books, songs, movies, video games. Anything with an unforgettable story has always left me happy and wondering. One day, while I was reading, I remember thinking, “Wow, I can’t imagine writing an entire book.” I still feel the same way. I’ve just learned to take daunting tasks one step at a time. 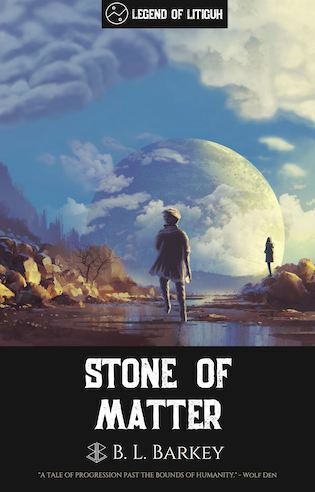 In the end, writing “Stone of Matter” was 90% fun, 10% hard work. I’d say that’s worth it. 7. Whose writing inspires you the most? In general, probably C.S. Lewis. His fictional spinning of spiritual topics brings lots of peace to my heart. I also enjoy the honesty and originality in Stephen King’s work. 8. 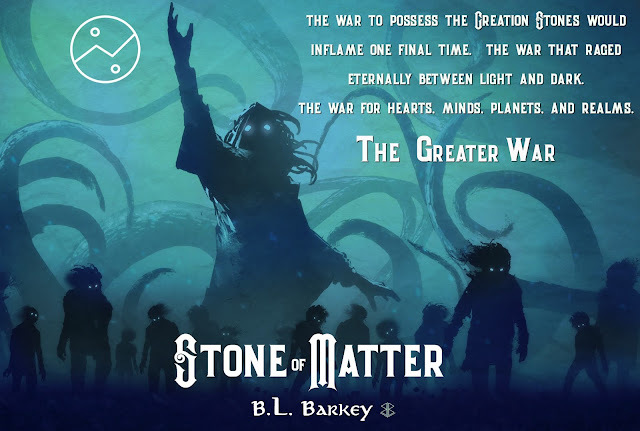 Aside from Stone of Matter, what is one book you would recommend to readers? “Name of the Wind” by Patrick Rothfuss, hands-down. With the addition of its sequel, “A Wise Man’s Fear”. And I apologize ahead of time, for you will be addicted, and the third book of the trilogy has yet to be released. But it’s so worth it. 9. Do you have any words of wisdom to anyone that might want to be a writer? Characters seem fun and excerpt seems like this would be a fun read; especially for my twin teens. I think they would like this. This one sounds like a book that my husband & I would both enjoy. I just love this cover. I wish I was there. love the cover very space / Sci Fi looking.